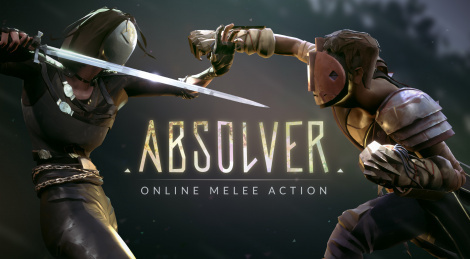 Pre-orders for Devolver and Sloclap's online melee game Absolver are now open. It will grant 10% off and in-game items. A special edition is also available and it brings on top some goodies and a numbered region-free disc for the PS4 version. More details inside along with a new trailer that showcases characters' weapons and special abilities. The game will be out Augsut 29. PARIS – Independent developer Sloclap and the drunken masters at Devolver Digital have announced the preorder program for the greatly anticipated online melee action game Absolver ahead of its launch on PlayStation 4 and PC August 29. Starting today eager combatants that preorder Absolver on PlayStation 4 or PC will receive 10 percent off the base $29.99 price, the Labyrinth Prospect mask, and Uring Priest gear set (absolver.devolverdigital.com). The most ardent fans can preorder the limited small batch physical Absolver Collector’s Edition from Special Reserve Games for $74.99, which includes an ultra premium, wearable Prospect mask with display stand, a 52-page The Art of Absolver book, and sticker pack in addition to a PlayStation 4 disc or PC download via Steam. (specialreservegames.com). The upcoming online combat game has been hotly anticipated and has taken home numerous E3, PAX, and PSX awards since its reveal last summer. Absolver puts players behind the mask of a Prospect, who has taken a sacred vow and chosen to join the Absolvers, an elite corps of combatants fighting to maintain stability in the world. Prospects will choose a combat style, each with their own special abilities, and assemble their own custom Combat Deck to create a personal fighting system in intense, real-time combat. Choose to wander the land alone, with friends, or find a mentor to spar and learn from to become a more polished warrior.